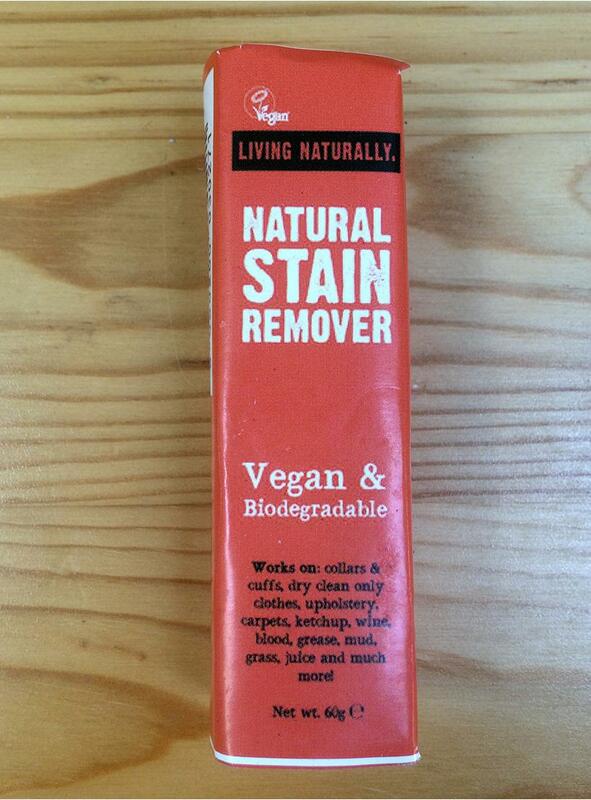 Living Naturally's Natural Stain Remover works on grass, red wine, ketchup, blood, grease, underarm stains, and so much more. Even the most stubborn stains are washed away. Ordinary stain removers contain chemical detergents, but this Natural Stain Remover is real soap, made with all-natural, biodegradable ingredients. There are no artificial dyes or perfumes, just the fresh, clean scent of natural eucalyptus and the deodorizing power of litsea. Will not discolour clothes or fabrics. How to use for Laundry: Moisten fabric and apply wet bar directly to stain to create suds on both sides of the fabric, wash as directed. For Carpets & Upholstery: Wet bar and rub into a sponge, apply soapy sponge directly onto stain, remove excess suds with damp cloth and let dry. Living Naturally's award winning artisan products are all handmade in the UK from 100% vegan, natural and organic, ethically sourced, sustainable & cruelty-free ingredients. Free from SLSs, Parabens, Mineral Oil, Palm Oil, Artificial additives or fragrances. Living Naturally are a family business who started using soapnuts as part of a solution to eczema in the family. When they saw the eczema getting better they realised how amazing these ancient soapy fruits were! They founded Living Naturally and started selling soapnuts in 2009. They have since developed a wide-range of award-winning vegan soapnut product lines, which are produced by their family-owned business based in the UK.